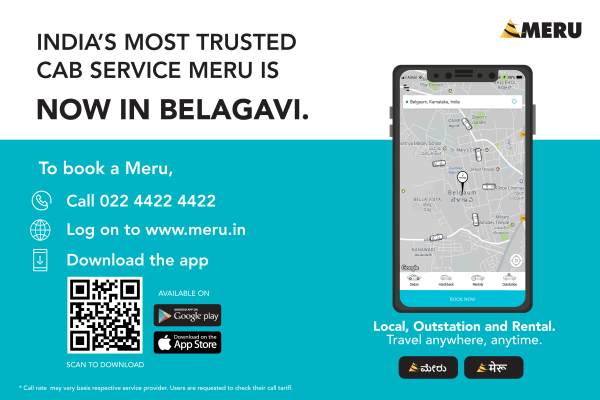 Meru Cabs, India’s most trusted cab service today announced the launch of its world-class cab services in Belagavi. Travelers will now have access to Meru’s reliable and affordable services through a click on the ‘Meru Cabs App’ or even via a call which provides cabs seamlessly. Beginning with 50 cabs on the launch day, they are looking forward to expanding to over 100 cabs in the coming months. The entry of Meru in Belagavi is a welcome sign for the commuters of the city who have been harassed by the Auto-cracy. Ola has recently increased its base fare to 99 for 4 kms which is very high and hence Meru as an option looks cheap and even cab can be booked by calling a number which makes it more friendly than only App based booking. Only time can tell with the entry of Meru, how the scene of public transport in the city changes. Night Time charge is same as daytime. Also, customers can choose their best suitable and affordable packages from the Rentals category on Meru App. Apart from the local city rides, Meru is providing outstation trips from our Belagavi city, as well. For more details, you can download the Meru App. Tap “Book Now” and within seconds your ride will be at your doorstep. Book pocket-friendly rides – Ride a Sedan or Hatchback. Want to ride locally or take a break and go on an outstation trip? Well, some exciting offers await you! Get all information about your driver – the photograph, phone number and cab details, as soon as your cab is booked. Add money to your mobile-wallet and your fare will automatically get deducted at the end of your trip. Go Cashless! In case of an emergency (ICE), an alert will be sent to your loved ones. Mr. Maahir Danewale, who has worked in Meru after his MBA and his brother Mr. Samir Danewale are spearheading the launch in Belagavi. Their aim is to resolve the travel issues of citizens and provide a seamless mode of transportation to make Belgavi a true Smart City in association with Meru. Meru pioneered the concept of tech-enabled ride-hailing service in India in 2007 in association with True North (formerly, India Value Fund Advisors), a premier India centric Private Equity fund. Since its launch, Meru has served over twelve million customers in 24 cities. Meru service is available for traveling local and outstation destinations, both as the point to point as well as hourly rental packages through its Android and iOS mobile apps with 5+ million downloads, website and call center. It is the only government licensed cab service in India which is an official partner of all the private airports in the country. 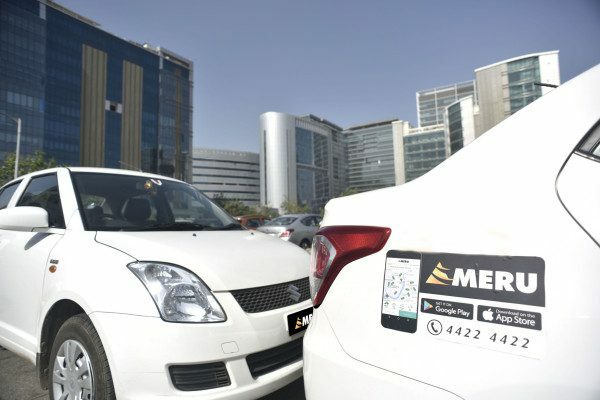 Meru has received numerous accolades from the industry including India’s Most Favorite Cab Service and Best Cab App by TripAdvisor Traveler’s Choice for 2 consecutive years; Times Travel Award, NASSCOM CNBC IT User Award for 3 consecutive years and Economic Time’s Most Promising Brands award. We Need all sector FDI (Foreign Direct Investment) in belgaum and at the same time everyone one is our city needs to follow the discipline and work in the interest of development. The rates seem to be on higher side. Though base rate is Rs 39, rate per km of Rs 11 is on higher side. Both ola rates and Meru rate are almost same level.